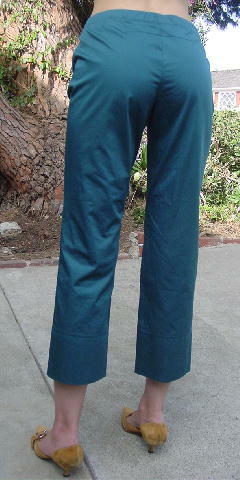 These dark emerald green 100% (polished) cotton pants were made in Romania by Joseph. 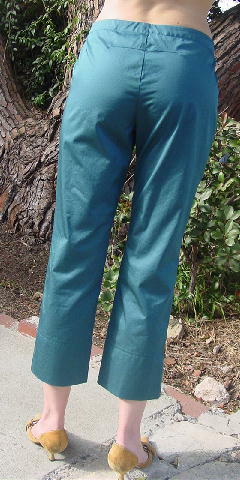 They have a 3 3/4" zipper fly, a 1 1/8" wide waistband, an exterior green button, and an antique white interior waist closure. 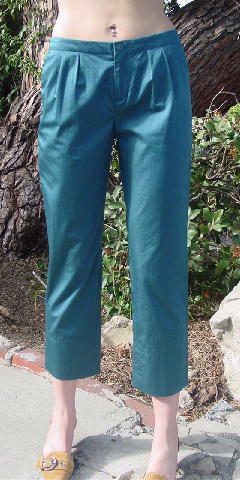 There are upper front angled slash pockets. 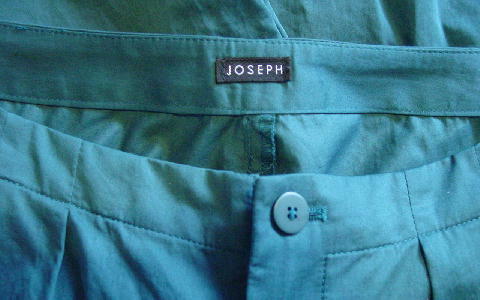 The tag says 34 (French). 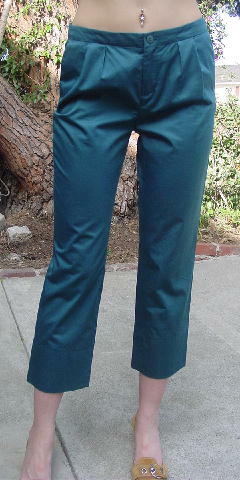 The pant legs have a sewn in place 4 1/4" hem.